There seems to be no limit to the rapid growth of the Scottish Coastal Rowing movement – and perhaps there’s no limit either to its ambition and imagination. A case in point is Sephira the Musical Ark – an Iain Oughtred-designed St Ayles skiff built by students and teachers at Moravian Academy, a school at Bethlehem in Pennsylvania. Most of these boats are built by communities, but the difference in this case is that the boat is rigged with eight long piano wires from stemhead to stern with the aim of making it a kind of sea-going harp – the string lengths and tensions are said to be designed to play notes in the frequency range of whale song. That’s the imagination bit. 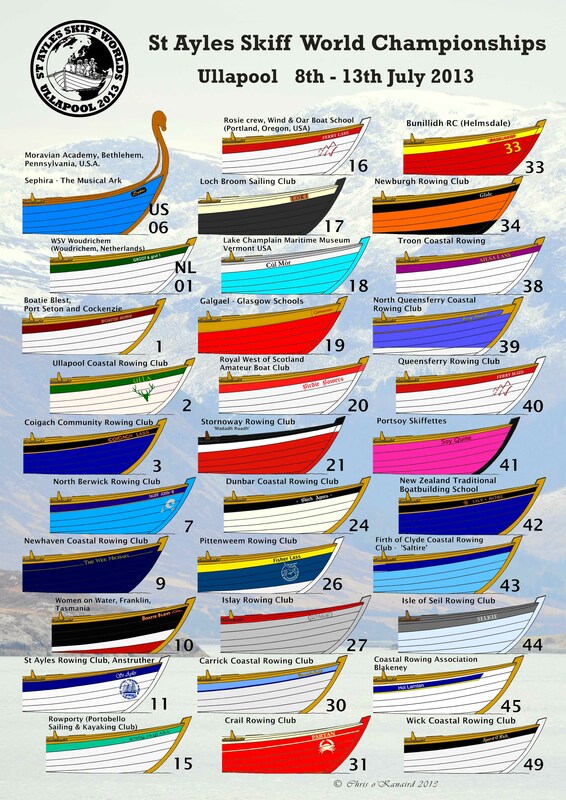 The ambition bit is that the school is raising money to transport the boat over the Atlantic to Ullapool for the Skiffie World Championship on the 8th-14th July – and it seems they’ve done sufficiently well that the boat has actually begun its journey. While in Scotland, the boat will also row to an area where whales are known to congregate, and play music for a while… It will be interesting to see how they respond. The whole thing sounds like a lovely, exotic idea to me. If you fancy chipping a few dollars to help pay for the expedition, click here.